Summer’s over and kids are back in school, but many people are making plans for at least one more getaway this fall, before the arrival of another busy holiday season. According to a new survey from AAA, more than one in four Americans (28 percent) expects to take a vacation this year between Labor Day and Thanksgiving. “Fall is a great time to plan your last road trip before the snow starts to fall,” said Bevi Powell, Senior Vice President, AAA East Central. “AAA’s motorcoach tours to New England, Pennsylvania’s Grand Canyon, West Virginia, and Mackinac and Agawa Canyon are very popular destinations for local travelers this year." Road trips are the preferred activity for fall travelers, with 62 percent of those planning a vacation intending to pack up their cars and hit the road. 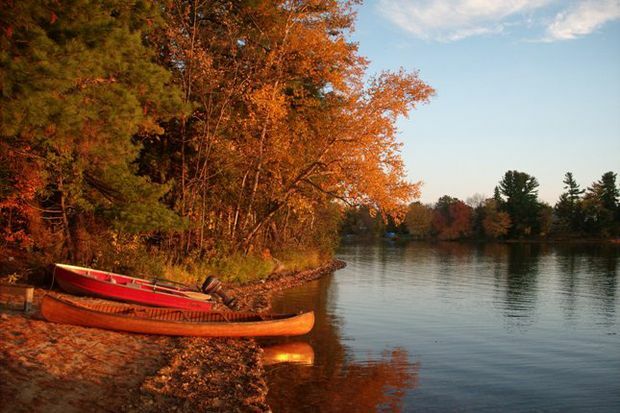 Thanks to milder weather, outdoor events such as fall festivals and visits to national and state parks are particularly popular with travelers this time of year. “Autumn travel doesn’t only open the door to fewer crowds and mild weather, but there are also aspects of a destination’s local culture that aren’t available during other seasons,” continued Powell. Twenty-six percent of those who are planning a fall vacation will take a trip to view fall foliage, a favorite pastime from the northeast and New England, to the mountains of North Carolina and Colorado. The majority of fall travelers will stay within the United States, with Orlando, southern California, Hawaii and New York the most popular domestic travel destinations, based on AAA National Travel bookings. Approximately one-third of fall travelers are planning an international vacation, with European destinations including Rome and London especially popular this time of year. Before setting out on a fall getaway, travelers should contact their local AAA office for the expert advice of a trusted travel advisor who can provide personalized service and in-depth destination knowledge to create a memorable vacation experience. 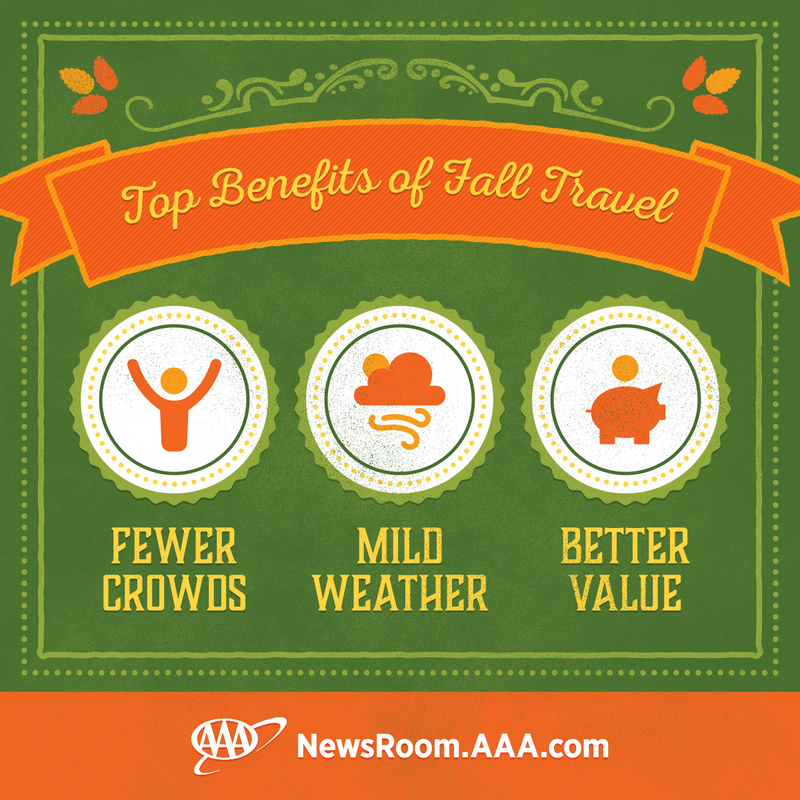 For more information about fall travel or to begin planning a trip, visit AAA.com/Travel. AAA’s report presents the findings of a telephone survey (landline and cell phone) consisting of 1,011 adults living in the continental United States. Interviewing for this survey was conducted August 3-6, 2017. This study has an average statistical error of ±3.1 percent at the 95 percent confidence level for all U.S. adults.